In Langmate you can get free coins from two conductors. · Click GET FREE COIN in the lower right from the match screen. Then the above screen will come up. First of all, click this button to try various free trials. 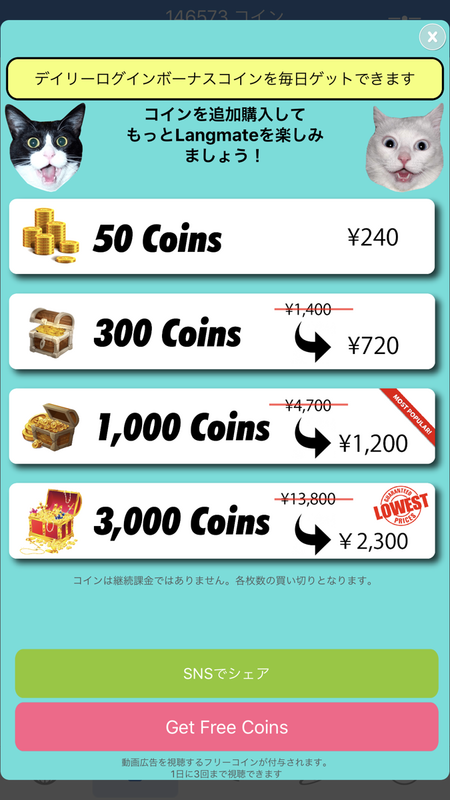 The advertisement video starts automatically, and the coin is granted after the end. Since the time is about 15 to 30 seconds please feel free to try it.